1. 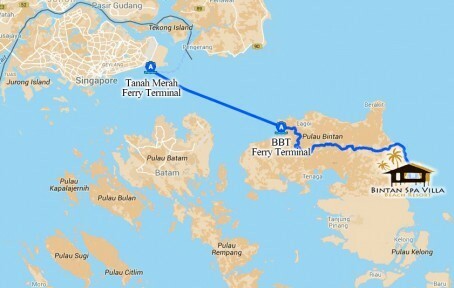 Coming from Singapore, book your round-trip ferry (Tanah Merah – Bandar Bentan Telani – Tanah Merah) either through us or directly from Bintan Resorts Ferry. If you booked your ferry on your own, please email your ferry timings to sales@bintanspavilla.com (at least 24hours in advance) so we may arrange someone to pick you up. 2. At Bandar Bentan Talani Ferry Terminal, our resort representative will meet up with you. You will then take a free 1hr air-conditioned bus ride to the resort.